Welcome to our Highgate frame. 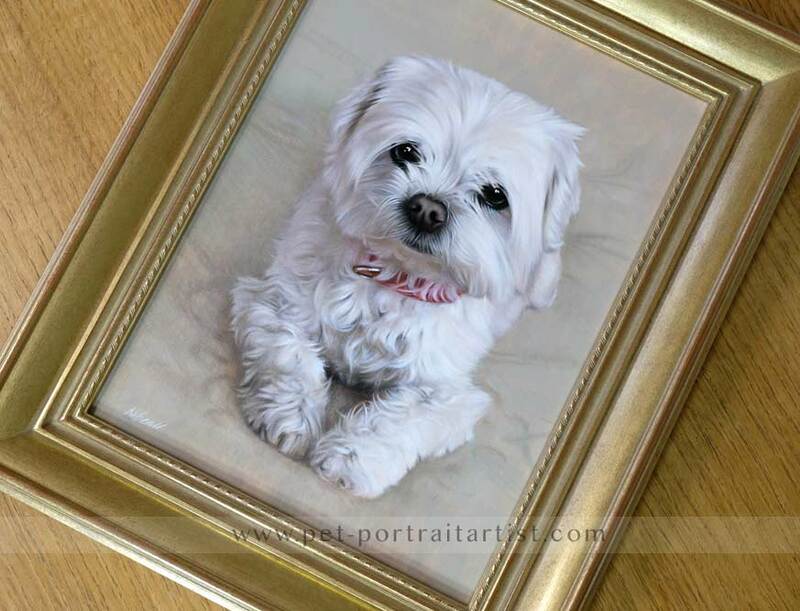 We love this frame so much, we even have one in our cottage. 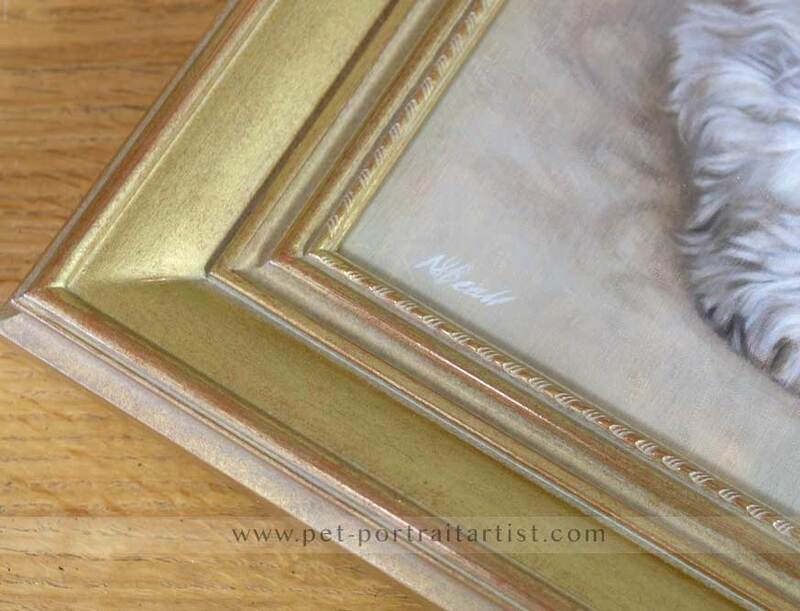 It works beautifully with our oil paintings and suits most of the colour pallets that Nicholas uses in his work. 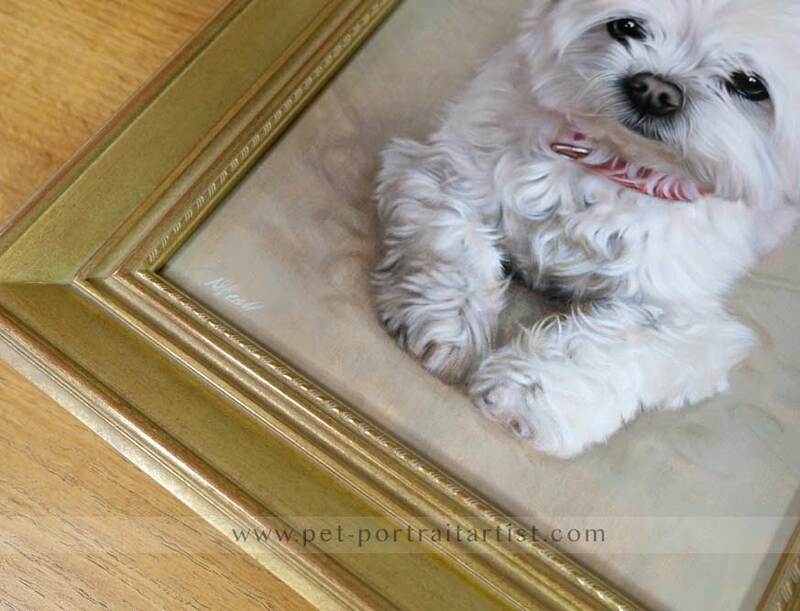 The portrait below is a 14 x 11 oil painting of Tilly and the colours suit her painting superbly. 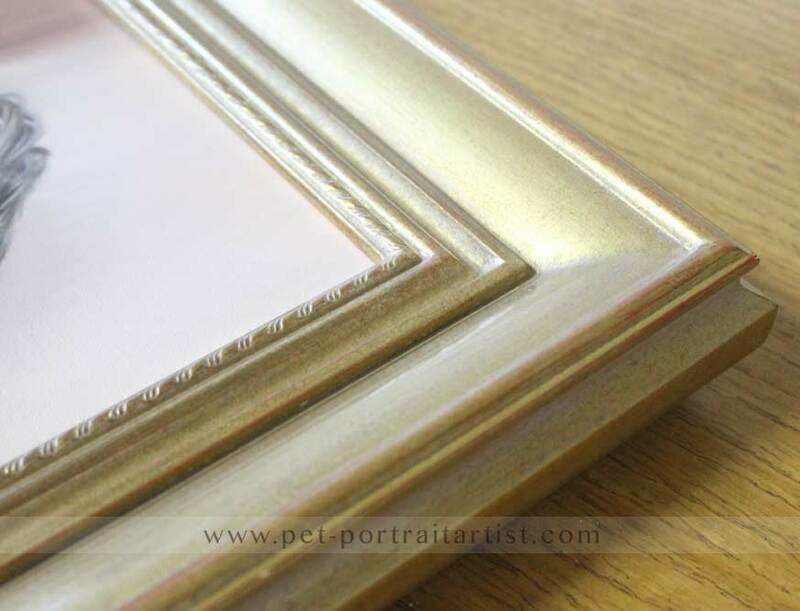 The frame is silky smooth to the touch and is a mixture of bronze / gold colours and has a lovely detailed inner edging pattern. 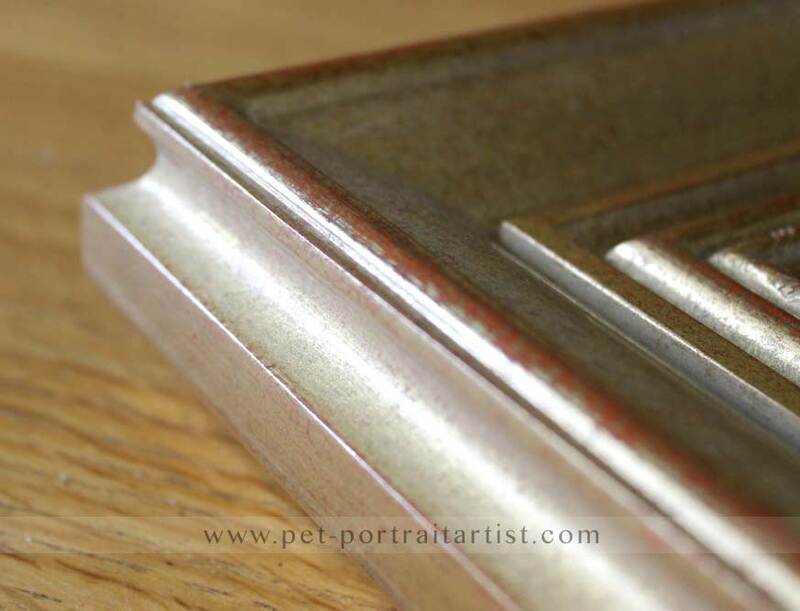 The finish is beautiful, there are very fine lines in the finish itself which really add to the sleek texture. 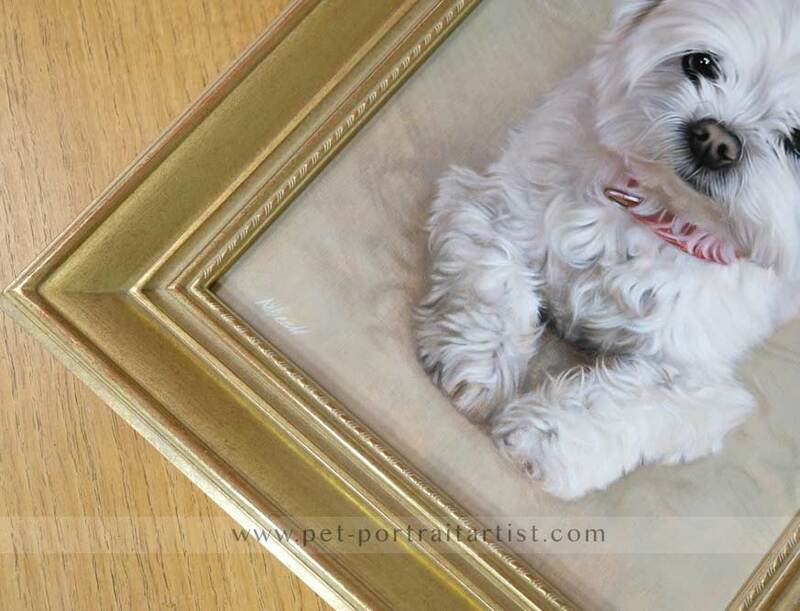 All of our frames are hand crafted by our framers so each are unique. 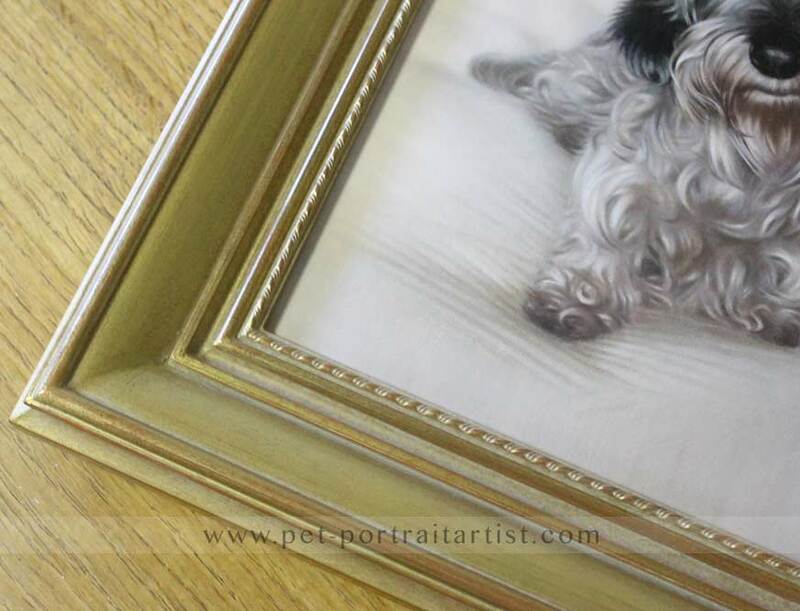 You can gain a better idea of this frame by watching our video about it below. 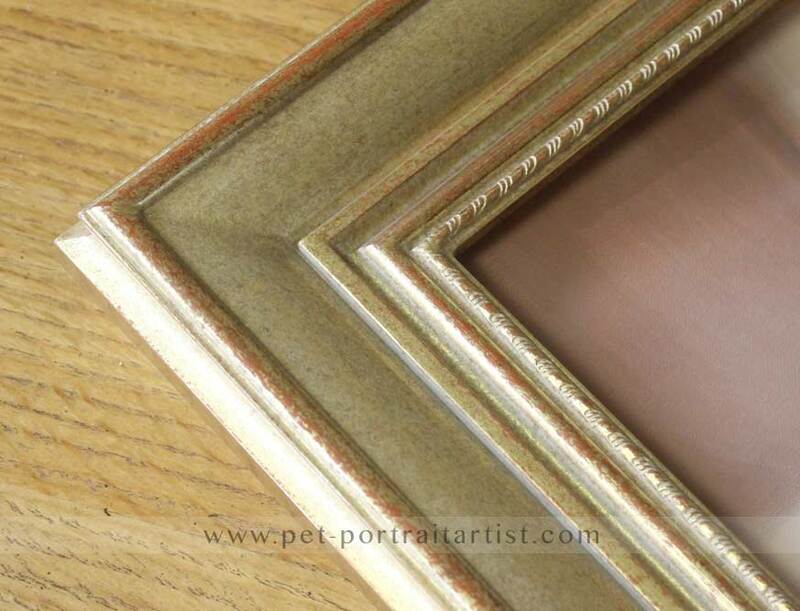 If you are interested in having the Highgate frame for your oil painting just drop us a line. 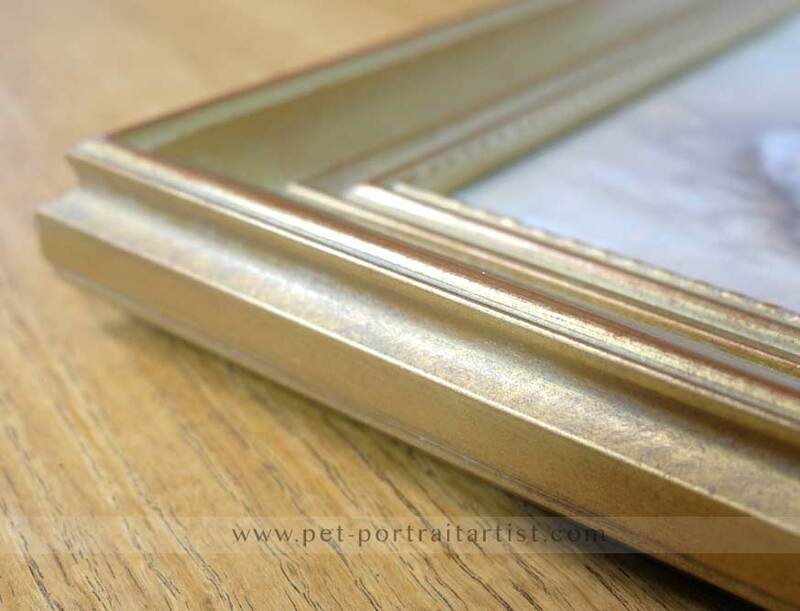 We can get a quote for you from our framers at any time. Highgate older style in similar colours. Scroll for an aged version. We are absolutely delighted with what we have seen on the stages and of the photo with your email. 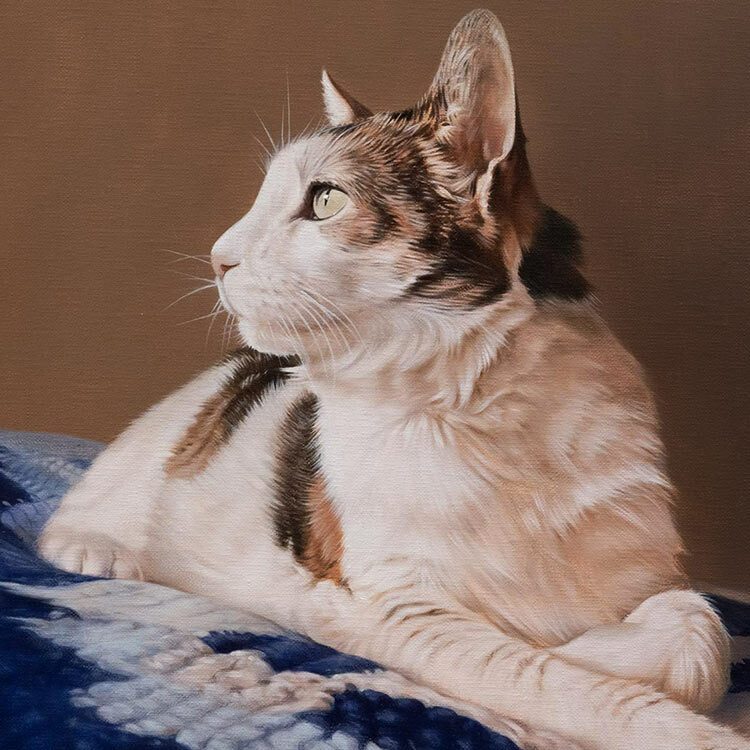 Thank you Nicholas for capturing Tess and Kenny's likeness so well, it is virtually like looking at them in the flesh. 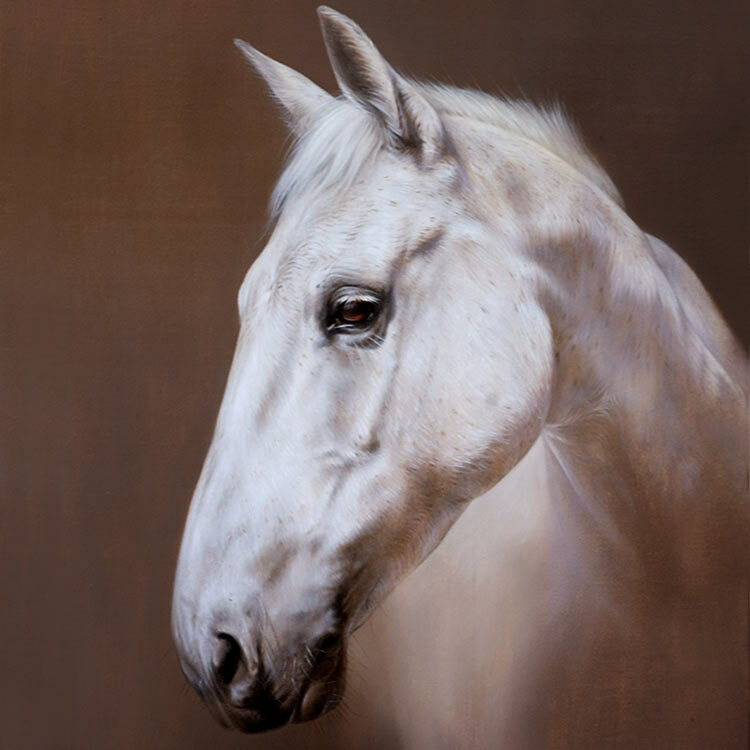 Once again, what a wonderful painting, thank you once again. 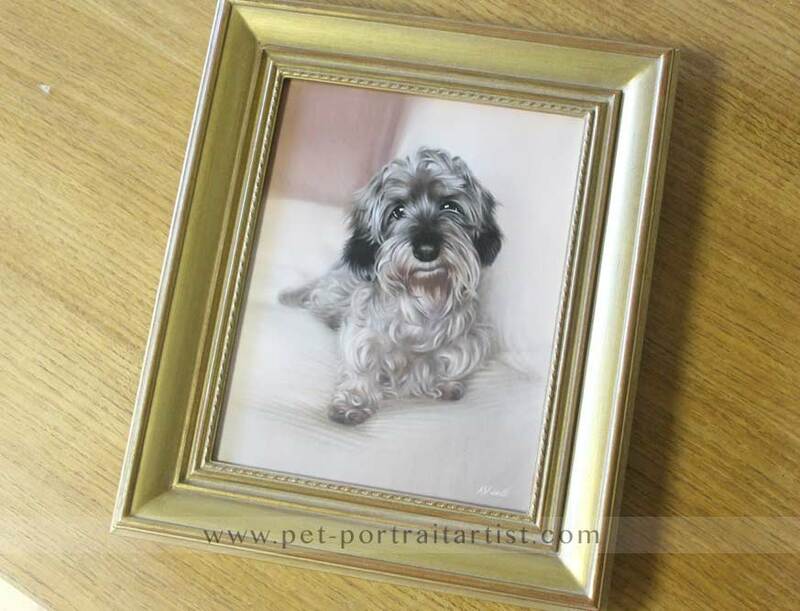 Our Kensington Frame is beautiful and is suitable for both oils and pencil pet portraits.